This is amazing! I can’t wait to see what else you come up with on how to use them. I am definitely going to pick them. Thanks! Glad you have a positive reaction to it. They are surprisingly tasty, and I am excited about my next recipe. Hope it turns out. As long as the tips are still quite young, they are good to pick, and super easy. I am going to dry a bunch too so that if I get ideas later in the year, I can still use them. I guess they will be awesome in potpourris too. What do you think? Perhaps, as they are very pretty, but don’t seem to have much odour. Or perhaps I have just been working with them so much I can’t smell them anymore. 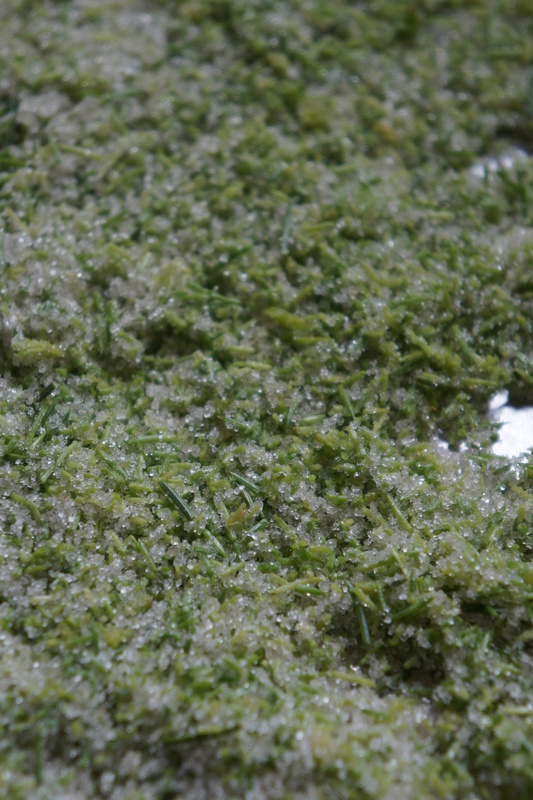 The spruce salt sounds very similar to my rosemary salt – both piney and I great on grilled meats. Thanks for the link to Anne’s post on spruce – I am always interested to see what other people do with these things, as there isn’t much on them yet. I haven’t actually made rosemary salt, but I would do it the same way as I do the spruce. 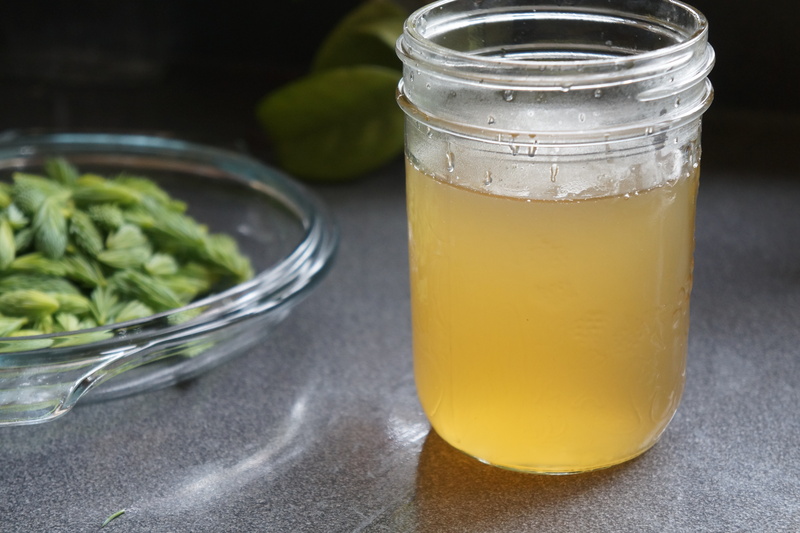 However, if you visit My Kitchen Witch, she has a recipe for it called sale aromatico which is more complex and looks very interesting. Pingback: “Ever Eat a Pine Tree? 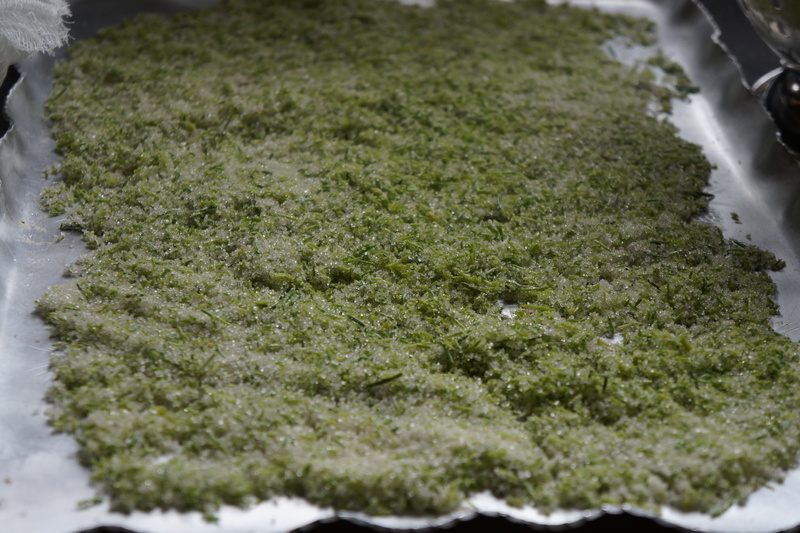 Most Parts Are Edible.” | grassfood. We just collected some yesterday, and I love the pleasant flavor. They actually remind me of the green guavas we used to eat– a bit astringent, but good. That’s good to hear. 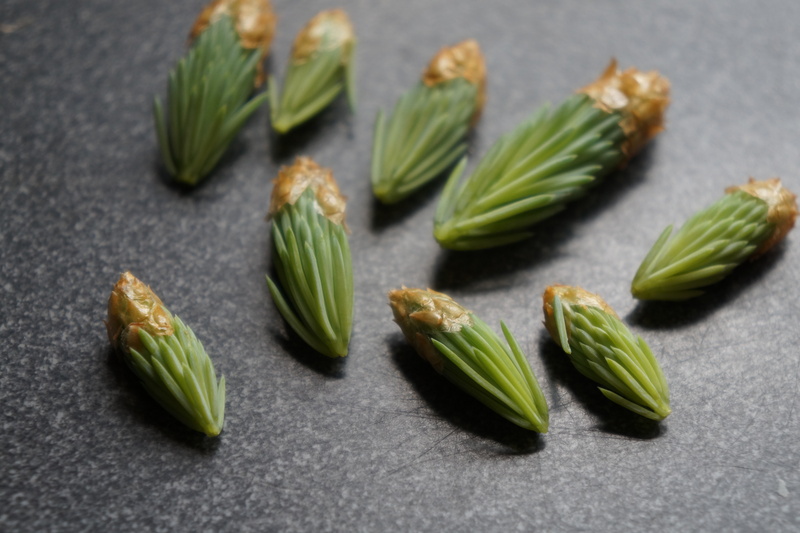 I gather different kinds of spruce have different flavours – and the connoisseurs have their favourites. I can see they might resemble guavas a bit – at any rate, used in moderation, they do offer a good flavour. I came across an article in a “Food Arts” about Fogo Island near New Foundland. 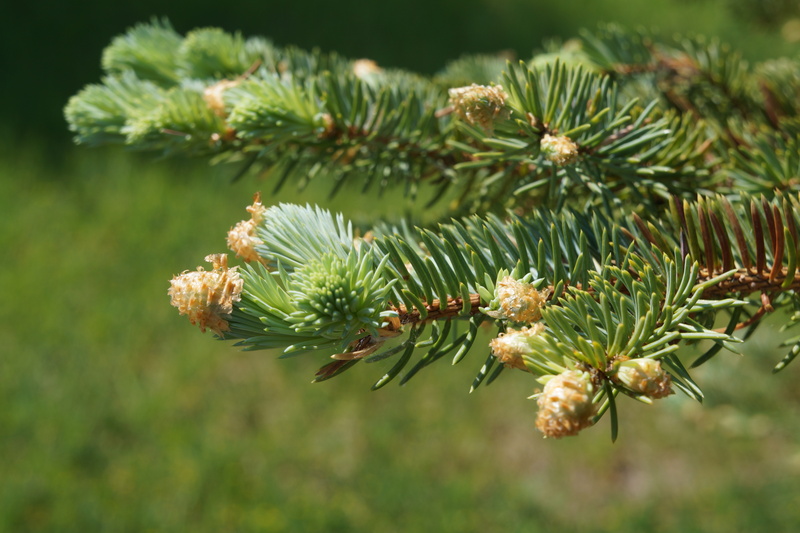 They wrote about how spruce tips have been used for years. They residents would bulk up their tea supply with spruce tips and juniper when their supply was nearing the end. The article also mentions a vodka and ginger syrup cocktail infused with spruce tips that sounded pretty good. Interesting post as always! Thanks, Gerard. I am going to look for that article – there is so little information on these ingredients, I am always on the look-out for any. Never would have thunk they were edible, Hilda. Thanks.